Kimi Raikkonen says Ferrari is “not stupid” and knows what it needs to do to close the gap to the frontrunners in Formula 1 this season. The Scuderia has struggled in the first three grands prix of 2014, managing a best finish of fourth while Mercedes has dominated at the front. Raikkonen, who won a race for Lotus last season but has yet to finish above seventh this year, said he had confidence Ferrari could turn its poor form around. “At least on paper [Bahrain] was the hardest track for us but we have some new parts coming and hopefully we improve,” Raikkonen said. “We know what we have to do. The people are pushing 100 per cent, but it takes time. That’s the fact. “We are not stupid people, we have good things going on. “Unfortunately right now it’s not the prettiest thing when you look at the end of the race, but I have belief in the team that we can turn it around. Raikkonen was still happier with the set-up of his F14 T in Bahrain, despite another difficult race in which he was hit twice and complained that racing the Mercedes-engined cars was like being in “a different class”. “I think we improved the car – it feels nicer,” added Raikkonen, who is missing this week’s in-season Bahrain test, but will drive on both days at Barcelona after the Spanish Grand Prix in May. “The feeling is better but obviously the results don’t show that. Ferrari has suspended its testing in Bahrain early on Wednesday due to concerns over a chassis damaged during Kimi Raikkonen’s race weekend. The team has been running Raikkonen’s chassis, but believes it may have been damaged during an excursion over a large kerb at Turn 4 during FP1 on Friday. At the time of the incident, Ferrari believed that only the floor had been broken, but it now has found issues with the chassis itself. 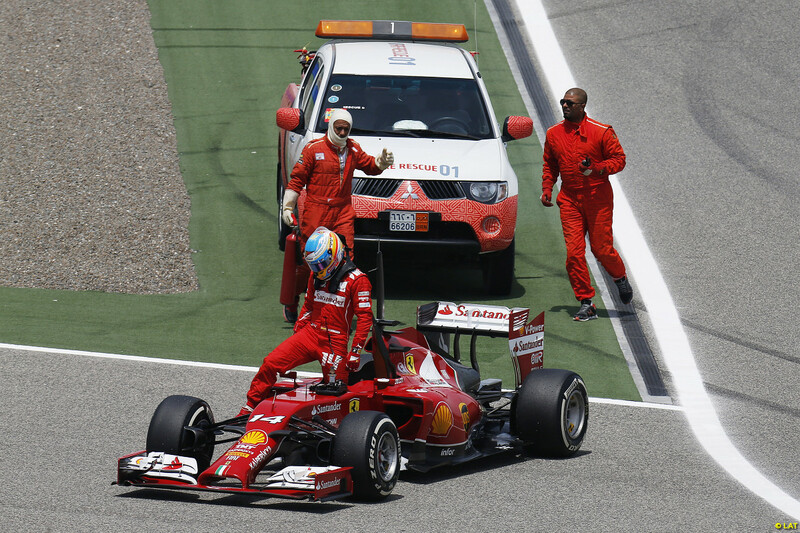 As a precaution, Ferrari has suspended its running after just 12 laps for Fernando Alonso on Wednesday and is unlikely to run again. On Tuesday the team was able to complete 69 laps despite causing a red flag in the morning session. Ferrari is not the only team to have trouble during the test. At the time it stopped running, Ferrari had still completed more laps than both Red Bull (nine) and Lotus (seven). No comments are also kind of comments. I think Kimi did a great race. I noticed someone called for more first lap aggression but that was compared to Alonso I guess and we saw previous years how costly that can be. Not more aggression exactly, just a bit more defensive. Kimi left a huge space open at the start, and Alonso took it. Ferrari will get their stuff together. By the way kimi was driving with a messed up chassis and still do what he did!! 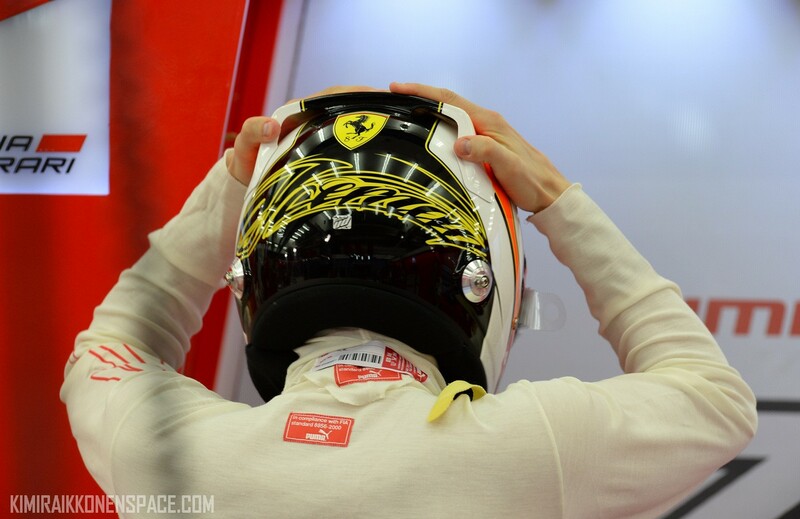 I still say kimi will be champ this year.